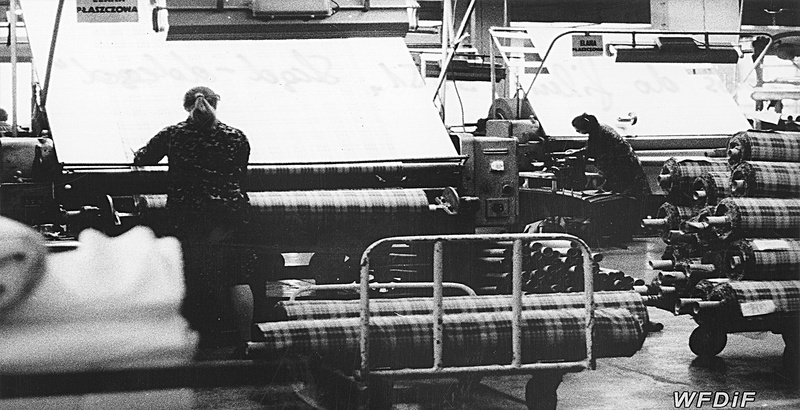 In this post-mortem release with a telling subheading ‘A few conversations at a factory’, Halladin tracks down the ambitions and desires of female employees at textile plants in Białystok in the North of Poland. To set the theme for the rest of the story about young migrant women and their move from villages to cities and towns, the film starts with a shot of people getting off a bus. As we soon find out, not only do the girls leave homes in search for work, but also for personal happiness. Their journey is often one of choice rather than of necessity. When another bus on the screen replaces the first one, we find out from intertitles that among the two hundred thousand young people who in the previous year migrated to work in factories, girls by far outnumbered boys. In the rest of the film, letters on the screen keep appearing in intervals to guide the viewer through observational shots playing to off-screen voices from migrant girls that intercut with talking heads and shots from conversations at the factory. A man, who is not visible to the viewer, moderates these group discussions, serving as a catalyst for some of the women’s voices. Somewhat reminiscent of Irena Kamieńska’s The Women’s Island/Wyspa kobiet (1966), twenty years later this film expands on the earlier one by including conversations not only with the migrant women but also with people from different groups that interact with them on the day-to-day basis. The moderator poses questions about their reasons for leaving homes, their dreams and ambitions, but also about work ethic, leisure and entertainment. 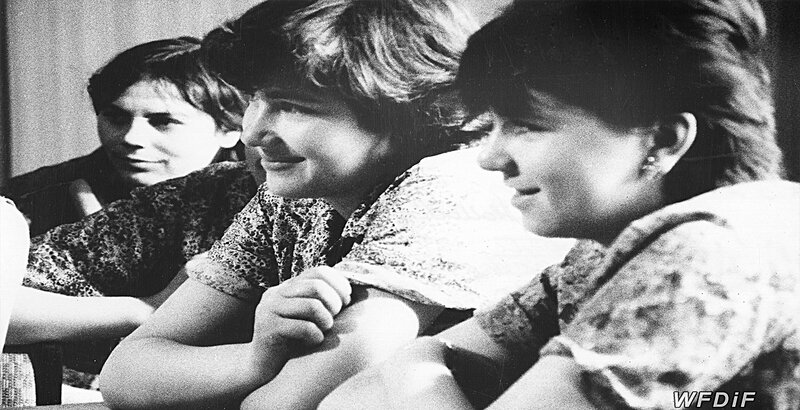 Female students at the vocational schools at the factory, as well as women who have been town residents for years, reveal that although industrial jobs are competitive they are still easier than those available in the countryside. They allow the young women to feel emancipated, have disposable income and at least some weekends off, which they couldn’t hope for at home. Some young women find it hard to articulate what their visions for future may be. Many wish to travel, buy their flats or cars. 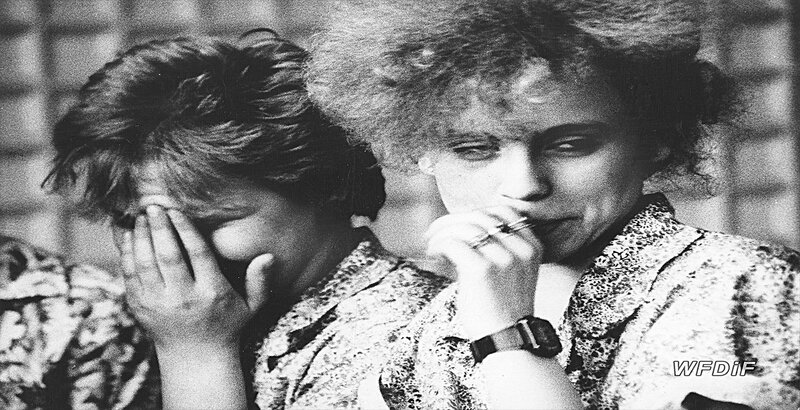 Unlike the girls in Kamieńska’s film, they are more inclined to have financial ambitions and to dream about improving their social status. Some even joke about getting married to a wealthy man. Perhaps they are lured by the western consumer culture, whose imagery started entering Polish media shortly before the first free elections in 1989. 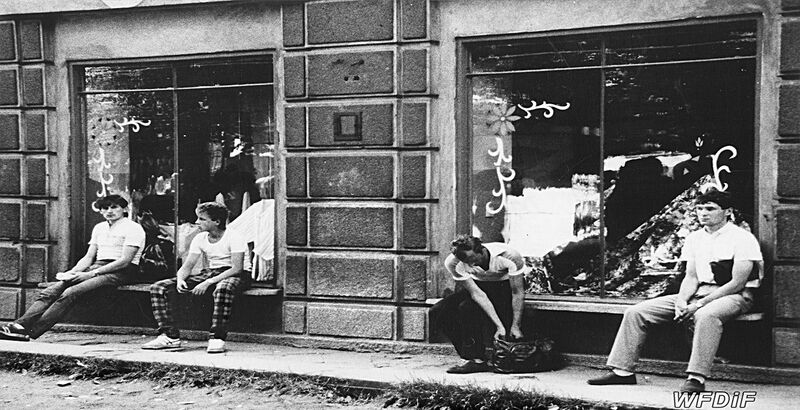 For many Poles at the time, material possessions and comforts equalled freedom from their routine hardships and often austere living conditions. The final lines in the film confirm that personal relationships are still one of the top priorities for these migrant girls. When the moderator asks: ‘So, what you need most to be happy is a husband, right?’, we witness the women laughing. An answer to this question comes off screen after the next cut: ‘As any other woman does’. Neither the economic emancipation nor the freedom from the pressures of the village life erases the need for the emotional security of marriage. However, these brave, independent women are now agents of their own fate. If they want to invest in relationships, it will be on their terms. This is at least what they hope. In the end, we see the same shots that opened the film. Women and men start another work day by getting off the bus. The intertitles say that the mass migration from the countryside to the towns continues. Women outnumber men.